Bringing Home your new Poodle Baby! Your new baby will come groomed (shaved feet, face, base of tail and potty path) and pre-spoiled. We will send along a blanket with the smell of his/her mommy, a toy and a chewy. We will provide the vaccination and worming records for you as well. We also will provide you with a sample of the puppy food we feed and recommend. We feed Purina Beyond and Beneful Grain Free food for the adult poos and Royal Canin ex small puppy for for the babies. We also recommend (Life’s Abundance, Royal Canin, & Purina ONE). If you prefer not to order your food on the internet we recommend Purina One puppy. 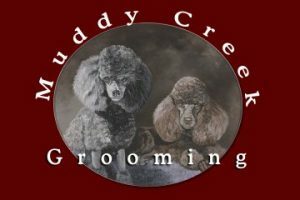 Your puppy will also come with my Muddy Creek Grooming “how to” DVD on poodle grooming if you want one.